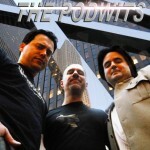 Now that the three wits-of-the-pod have finally seen The Avengers film (Dion! ), this week the gang tackles the long-debated question: “who the heck is going to pay for all this (damage) when a superhero battle lays waste to an entire city?!? !” The pros and cons are debated, the lads discuss the Prometheus trailer and the topic we’ve all been asking ourselves: is it a damned prequel or not?! All that, and the much-loved Borgninian Moment of the Week. So give it a spin, and who knows what may happen?! Damage Control is a fictional construction company appearing in Marvel Comics, which specializes in repairing the property damage caused by conflicts between superheroes and supervillains and was originally owned by Tony Stark and Wilson Fisk, each owning half the stock of the company. Thanks Dante! Tony Stark and Wilson Fisk partners in a company? That souds like trouble!